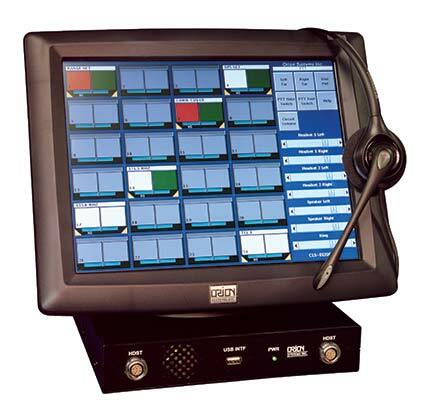 The Touch Entry Device is comprised of an electronics chassis and a color touch screen monitor. The electronics chassis is 1 rack unit high and includes 2 front facing headset jacks, 2 additional rear facing headset jacks. Also included is an integrated front facing speaker, rear access external speaker interface, and a rear mounted footswitch connector. The electronics chassis and touch screen monitor can be either rack mounted or desk mounted. 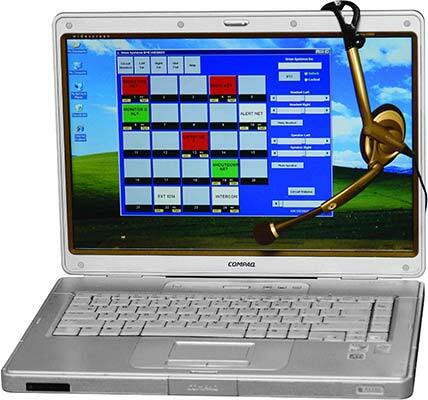 The 2 front facing headset interfaces can be set to operate as supervisor/trainee or equal capability. 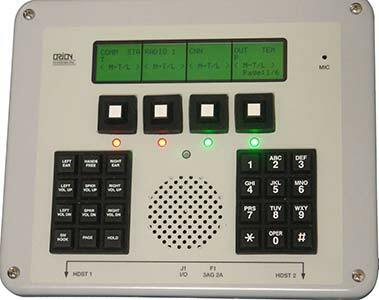 Software controlled Automatic Gain Control (AGC) and Voice Operated Switch (VOX) functions are provided for each Touch Entry Device.